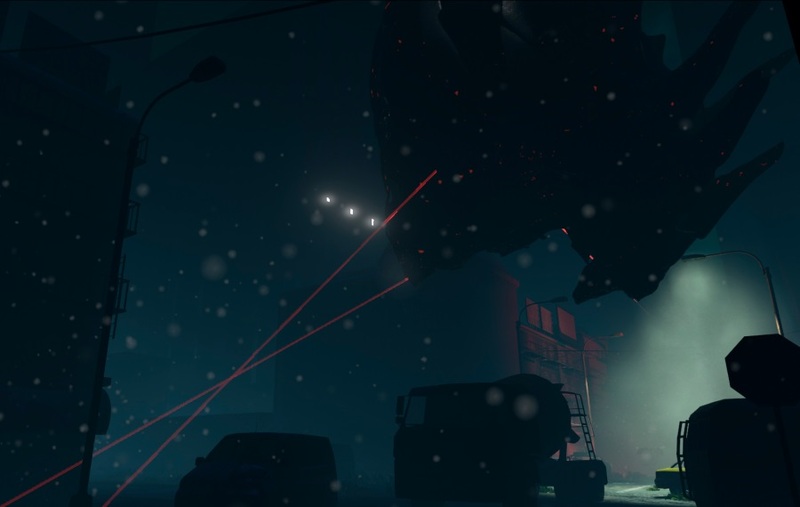 The Hum is a horror alien invasion game seeking funding on Kickstarter. So many amazing projects have been popping up on Kickstarter as of lately, and they're hard to keep up with. In today's world it seems to be the place for indie developers seeking financial assistance to go, and many find extraordinary success through the crowdfunding site. 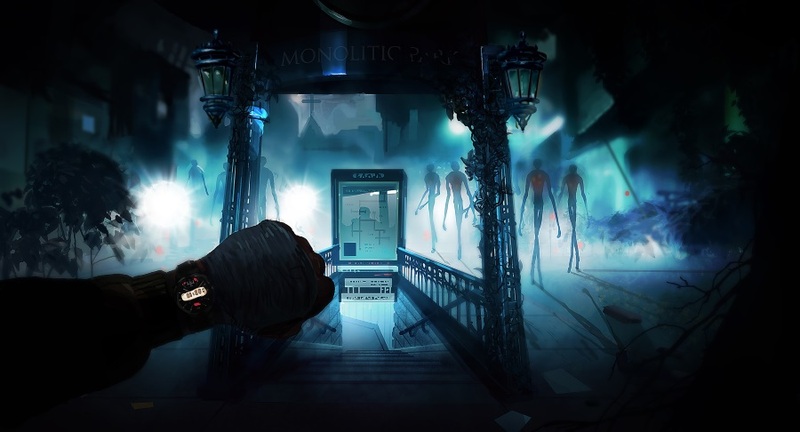 Argentina based developer Thotwise hopes to achieve such with their recently launched Kickstarter campaign for the indie horror game The Hum. As described by the developer, "The Hum is a first person horror indie game thought as an immersive and frightening experience in a post-alien invasion universe." Successfully Greenlit in May, The Hum stems from a childhood fear of the extraterrestrial. Like many children and adults, Ariel Arias, the game's creator, had a fear of aliens, writing in the project's Kickstarter video, "When I was a child I had a phobia, it was a terrible fear, but it inspired me." With eerie, goose bump inspiring music, the video continues stating, "I know how this fear feels, and I am recreating it." The Hum is a horror game that puts the player in the aftermath of a sudden alien invasion. The player will have to find not only a way to survive by providing his own basic needs, but also will have to unravel and increasingly involve himself in the mystery behind this nightmare. His own perception of reality will have to evolve while he experiences an important transformation. Not only is Arias recreating his own fear, he's recreating mine and a million other people's around the world. Players will need to survive on a desolate planet, collecting those things necessary for survival, crafting items to make it through an alien apocalypse. Moreover, players will interact with the environment, needing to think their way through situations that the intruders place one in, testing their intellect and psychological stability. The game's title has meaning, stemming from occurrences involving true accounts of low-frequency sounds not audible to everyone. In other words, something is playing with you, messing with your head. The aliens may be experimenting, or just messing with you. They're slowly driving you insane. The idea of this is frightening, alone or not. However seemingly alone, there're other humans still alive. "Human race was decimated but not exterminated. They still need a few humans for their purposes." Meaning, players will run into other beings - human beings. Seeking $250,000, Thotwise's Kickstarter campaign runs through September 30. That's plenty of time to save up a bit of money and show this indie developer your support. Pledging $25 will get you a digital copy of The Hum upon release, and although this may seem a bit steep in comparison to other campaigns out there, it's clear Thotwise will make your pledge worthwhile. If funded Thotwise plans to release The Hum in December of 2015 for PC/Mac with Occulus Rift support. The indie developer would like to make other platforms available including, but not limited to Linux, PlayStation 4 and other virtual reality devices, however, these formats haven't been confirmed. Flesh eating zombies, organ harvesting werewolves, blood sucking vampires - child's play. An alien invasion, abduction or anything of the sorts is by far the most terrifying scenario that I can imagine. It's no surprise then that I nearly crapped myself watching the trailers. Even with such a large goal, this Kickstarter campaign needs to be a success, because, you know, aliens.